The reception was held in the church gym right after the ceremony in church. 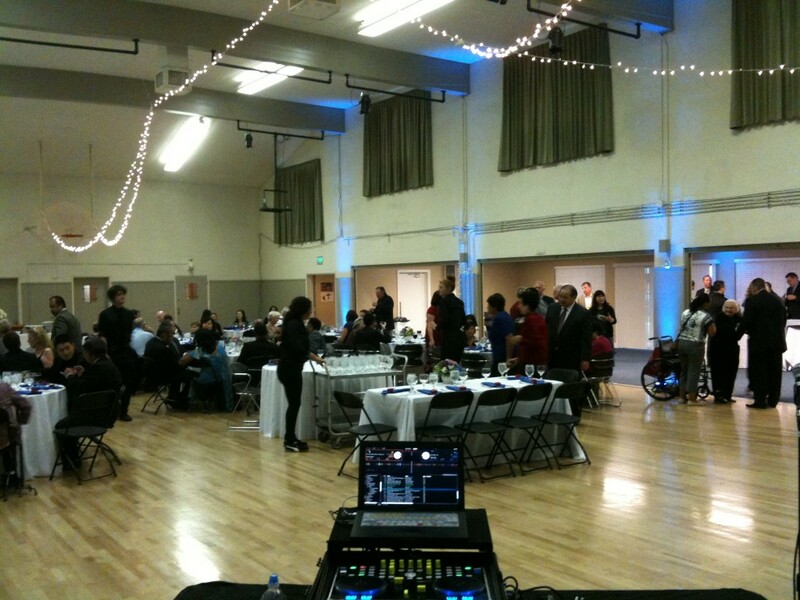 Uplighting mold the feel of a celebration, especially as the gym lights were dimmed. Creating a whole experience is my goal.